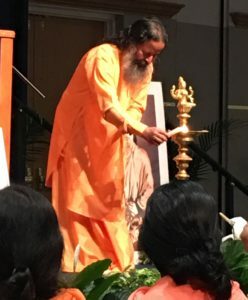 After returning from the Kriya Yoga Institute Mother Center Ashram in Homestead Florida, I remain encased in a velvet fog of deep love, calm, and Grace. Having spent six days in the continued Presence of our realized master, Paramahamsa Prajnanananda, it is self-evident that cultivating one’s ability to live in love, in peace, and in joy through trust and faith makes it possible to realize God’s presence within. 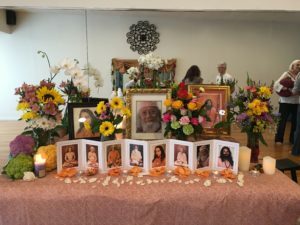 While the gurus find simple ways to share deep truths with us, it becomes obvious that our continued growth and welfare is held tenderly in their loving hands. The ancient science of yoga continues to shine a very bright light for us to follow day by day as we become more able to hold the truth of who we are in our waking consciousness without break. As we enter into the sixth month of 2017, may you feel inspired to redouble your personal practice by taking advantage of all the wonderful offerings we have for you at Param Yoga. Our community will celebrate the West End Art District’s annual ArtWalk on Sunday, June 11th, with food, music, crafts, prizes, and giveaways. We will be hosting an Arts & Crafts Boutique inside the studio and would love to have you drop by to support your fellow yogis! 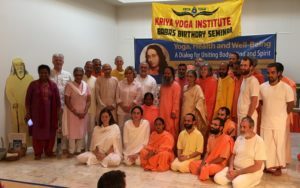 The weekend of June 16th, 17th and 18th brings Swami Atmavidyanada and Yogacharya Richard Peterson to us for the opportunity to become initiated into Kriya Yoga. 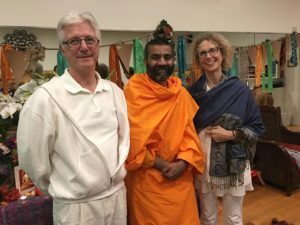 It is a rare treat to have the swami with us, as he rarely gets the chance to travel to the west with his intense schedule. If you haven’t already received Kriya, I encourage you to do so, as the Kriya we offer is a model that you can adjust to your lifestyle and religious practice. Kriya is a gift you give yourself that keeps on getting sweeter and sweeter as the days go by. The final Friday of the month, June 30th, we welcome Brian Walsh back to Param Yoga for another evening of deep relaxation as he uses the singing bowls to move you into an Organic Resonance of deep peace and calm. You can’t afford to miss this blissful treat into the deep recesses of Yoga Nidra. May the entrance into summer be joyous for you and yours. I look forward to sharing the season with you as we practice living yoga right here in beautiful Chatsworth!